Is It OK To Pay Pregnant Women To Stop Smoking? : Shots - Health News It's notoriously hard to get people to quit smoking. Pregnant women in Scotland were more apt to stop if they got $600 in gift cards. But are those kinds of payments ethical? Is It OK To Pay Pregnant Women To Stop Smoking? 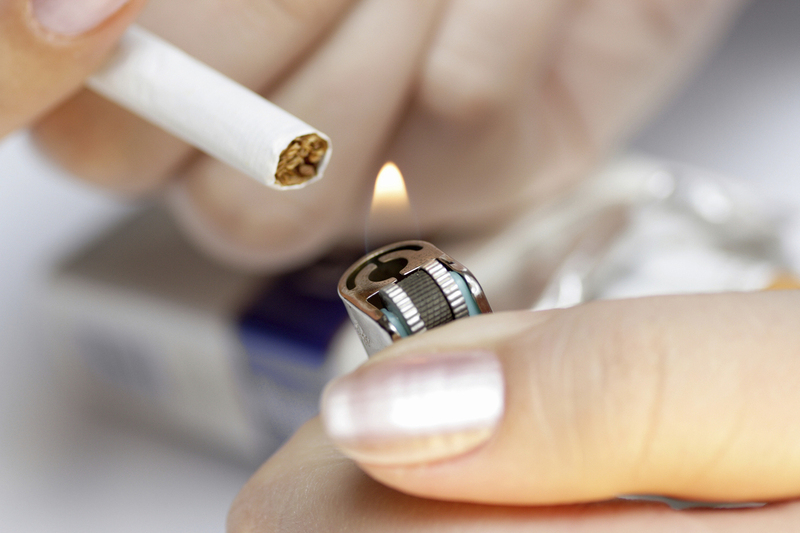 Smoking during pregnancy increases the risk of premature birth, stillbirth and infant death. Women who smoke while they're pregnant are more likely to have health problems, and their babies are at risk, too. But attempts to get women to stop smoking while pregnant usually fail. When pregnant women in Scotland got paid to quit, 23 percent of them managed to stop smoking, compared with 9 percent who quit after they got counseling, support calls and free nicotine replacement therapy, according to a study published Tuesday in The BMJ. Women got a 50-pound gift card, the equivalent of about $76, if they attended a counseling session and set a quit date. If they stayed off cigarettes for two weeks, they got another 50 pounds. Extend that to 12 weeks, and they got another 100 pounds, about $152. And if they were still not smoking in the last weeks of pregnancy, they got a final 200 pounds, or $303. This sounds like a total win, because keeping a preemie in the hospital for weeks costs a lot more than $607. Smoking during pregnancy increases the risk of miscarriage, preterm delivery, low birth weight and sudden infant death syndrome, according to the Centers for Disease Control and Prevention. The Scottish researchers estimate that smoking during pregnancy costs the United Kingdom $8 million to $97 million a year in extra health care costs for women, and $18 million to $35 million in the first year of the baby's life. A total of 609 women participated in the study. After 12 months, 15 percent of the women who were offered financial incentives were not smoking, compared with 4 percent of the control group. So why isn't paying people to quit smoking, or lose weight or take their medicine, used all the time in public health? "You're sort of saying, 'Why are pregnant women smokers being rewarded for what's deemed as being reckless?' " says Dr. David Tappin, a pediatrician and professor of clinical trials at Glasgow University, who led the study. "Every mother knows that to be pregnant is a challenge as well as a joy," Tappin tells Shots. "For a lot of these women, it's just a challenge. A lot of them have poor housing, difficult relationships, poor self-esteem. The prospect of a new baby can be overwhelming." The vouchers, which could be used at stores that sold groceries, furniture and baby gear, lift a bit of the pressure, Tappin says. "That very small amount of incentive allows them to pull themselves out of their addiction." Other public health researchers have tried paying people to stop smoking, and some employee wellness programs pay people to lose weight (or penalize them for smoking). But the pay-for-performance idea is far from mainstream, and earlier attempts in the U.K. got a lot of blowback. Tappin spent six years trying get women to stop smoking by giving them high-quality counseling through midwives. It didn't work. So he's ready to embrace paying people, even if we think they're wrong for engaging in bad behavior. "It's thinking about a health problem without thinking about the morality of it." He's awaiting funding to expand the voucher project to a number of sites around the U.K., where smoking rates during pregnancy range from 20 percent of women to 5 percent.